Address: Urbanización Las Coloradas, Playa Blanca (Lanzarote), Islas Canarias. This new family holiday resort is made up of fully-equipped bungalows, and is located just a short stroll from the sea on Lanzarote’s Las Coloradas Bay. 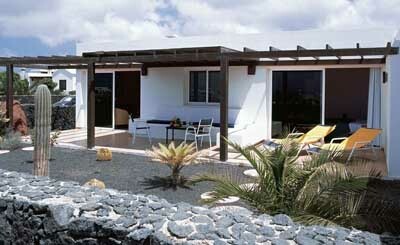 The Iberostar La Bocayna Village has been built in a typical Canarian style. It is situated in Playa Blanca, in the south of the island, with views of the neighbouring islands of Fuerteventura and Los Lobos. The beautiful beaches of Playas de Papagayo are just a 15-minute walk away – another amazing feature of this stunning natural environment. Take advantage of the warm sunshine by taking a dip in the complex’s outdoor swimming pool, set beside a separate children’s pool and snack bar. There is also a hot tub surrounded by lawns and terraces full of sun loungers. The hotel does not accept American Express as a method of payment. Please note that the full amount of the reservation must be paid in upon check-in.